Product prices and availability are accurate as of 2019-04-22 07:59:43 UTC and are subject to change. Any price and availability information displayed on http://www.amazon.com/ at the time of purchase will apply to the purchase of this product. 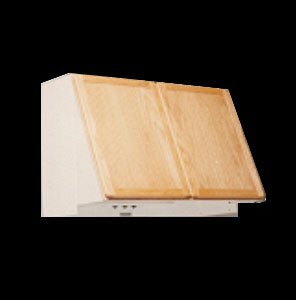 300 CFM 30" Tilt-Out Wall Mounted Range Hood with a Single Blower from the Tilt Out Collection The Tilt Out Series helps hide your range hood behind two cabinet doors attached to the hood to assist in keeping the hood out of sight. The TLH130 has a 300 CFM motor with a single Blower. Why purchase Vent-A-Hood? Vent-A-Hood is the only ventilation manufacturer to provide grease extraction without messy, hard to clean filters. More efficient than filter type hoods, Vent-A-Hood offers the quietest hoods in the industry, quieter in your kitchen than a remote blower. Vent-A-Hood also offer fire-safe residential applications. The Vent-A-Hood 'Magic Lung' blower is a patented way to remove bad smells and smoke from a home quickly and quietly. No matter the speed, the 'Magic Lung' will be quiet even at higher speeds. Features: 300 CFM Single Blower 11.25" Hood Projection Mount from Cooking Surface One Year Exterior Warranty Five Year Internal Motor Warranty Patented Magic Lung Blower System Allows CFM to Double, Triple, or Quadruple with Very Little Effect on Sound Traps All Cooking Contaminants, Liquefies Grease Vapor and Removes Heat Polluted Air Snaps Apart for Easy Cleaning Only Residential Ventilation System on the Market Today that Prevents Fire from Spreading to the Rest of the Home Provides the Power you Need for Even the Most Demanding Cooking Surface Specifications: Height: 24"